It’s the month of Ramadan, and for those of us in tropical countries and/or in the summer, it’s a long, hot day and there’s nothing more we’d love than a refreshing fruit juice to end the fasting day! I experiment a lot with different fruit combinations for juice; watermelon and mint being a firm favourite! Juices are a super way to get in those daily fruit intakes and if you don’t add or reduce the amount of sugar you add in to it, are healthy as well! Two days ago, my dad brought in a stock of fruits: watermelons, pineapples, oranges, bananas and tiny green oranges called calamondins. 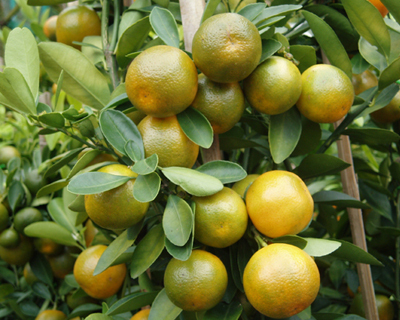 The Little Epicurean has a fantastic recipe for making calamansi juice! Give the juice a try and you’ll definitely be making more! The fruit has great health benefits as well! Win-win all the way !! Now, onto my yummylicious juice! I had a few strawberries lying around, so added them in too! The more, the merrier.. and yummier! Add all the ingredients into a blender (or juicer) and blitz! 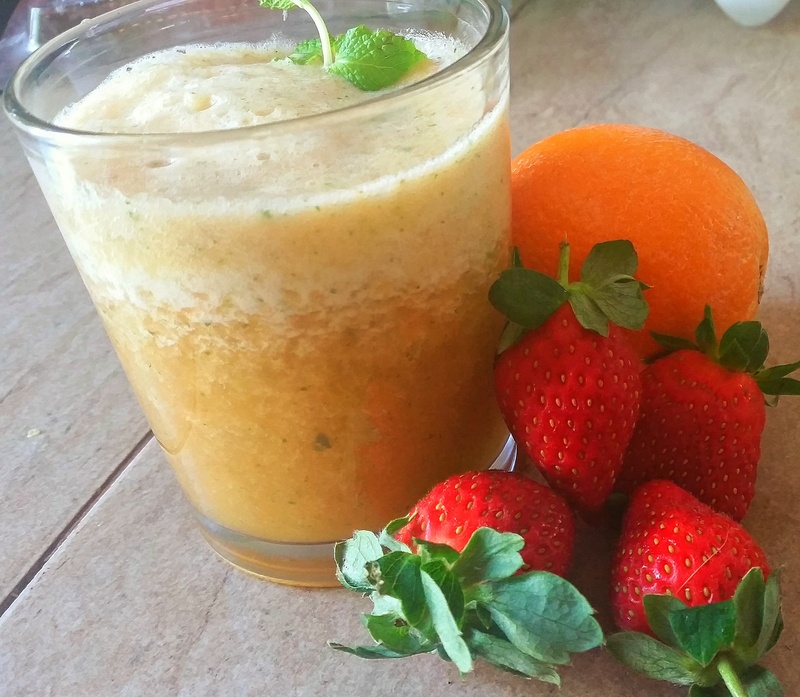 The blender chops and mixes all the ingredients together into one minty fruity delight. I added slightly more than a tablespoon of sugar, as the fruits have plenty of natural sugars. Serve up! My family loved it and well this is now a new firm favourite! Mint is one of, or if not, THE best herb to add in to a juice. Gives it an extra kick and added freshness!